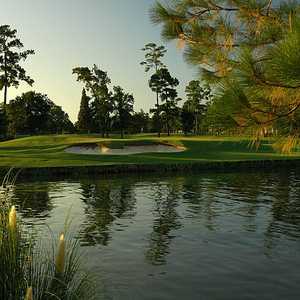 The 18-hole Member Course at Golf Club of Houston in Humble, TX is a private golf course that opened in 2002. Member Course at Golf Club of Houston measures 7508 yards from the longest tees. Greens and fairways are bermuda grass. Parlaying the successes of the Dallas-area Tour 18, Houston's version of America's greatest holes has become one of Harris County's most popular golf destinations. 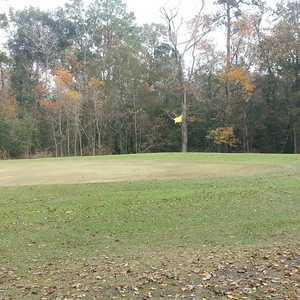 This one takes advantage of the Southeast Texas pines, with towering trees lining every hole, and the impressive conditions that have made both Tour 18s popular with the public. Patterned after the successful Robert Von Hagge/Bruce Devlin-designed Walden on Lake Conroe, this course opened in 1982 and immediately became known for its numerous bunkers and lakes. Considered a shotmaker's course, this layout features over 100 bunkers and requires precise play throughout.